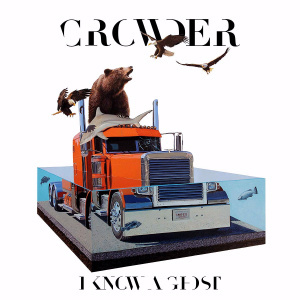 Crowder brings more of the musical variety and creativity he's known for in I Know A Ghost, an album of all-new songs that are a unique worship experience. Love music with an edge? Following the success of American Prodigal and the #1 single "All My Hope " Crowder is back with a brand new album: I Know A Ghost. This new album contains a wide variety of musical influences while still leading the listener in a unique style of worship that Crowder is known for. Crowder has been embraced for his lyrically powerful and musically elaborate and unpredictable songs that have found themselves being sung everywhere from churches to clubs all across the country. In November 2012 Crowder released his first solo project Crowder: iTunes® Session which delivered nine stripped down organic tracks to many of Crowder's most loved originals. As part of the David Crowder Band they were named one of the "most thoughtful progressive and exciting acts in contemporary Christian music" by The New York Times garnering nine Dove Awards 22 Dove nominations and two GRAMMY® nominations. The band released their final collection of new music with the GRAMMY® nominated project Give Us Rest (A Requiem Mass in C [The Happiest of All Keys]). Continuing to perform as part of the Passion movement participating in university student gatherings in the US and around the world. I Know A Ghost by Crowder was published by Capitol in November 2018 and is our 1711th best seller. The ISBN for I Know A Ghost is 0602557188134. Be the first to review I Know A Ghost! Got a question? No problem! Just click here to ask us about I Know A Ghost.